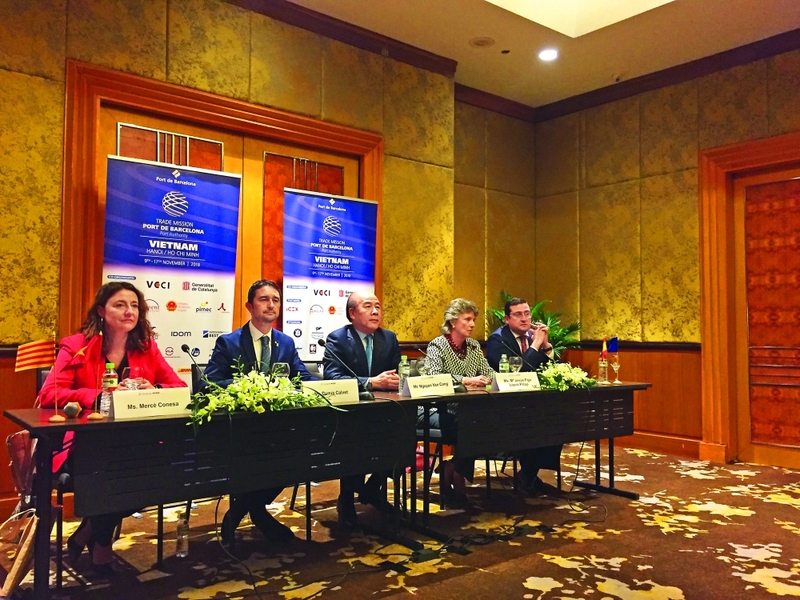 (VEN) - The President of the Barcelona Port Authority Merce Conesa told participants at a recent Hanoi conference that she looked forward to connecting with Vietnamese businesses, especially in the field of logistics for mutual development. According to Conesa, Spanish investors have paid increasing attention to Vietnam in the fields of renewable energy, infrastructure, tourism, high technology, construction and architecture. Barcelona Port accounts for 70 percent of transport in Catalonia. It is now home to 500 enterprises, generating value of EUR3.53 billion, equivalent to 1.7 percent of Spain’s gross domestic product. A series of areas dedicated to logistics and distribution activities cover 3,600ha around the city. Some 35 percent of imports into Spain from Asia and 43 percent of exports pass through the port. Vietnam is Spain’s main trading partner in ASEAN. Bilateral trade reached more than US$3 billion in 2017, and the two sides have set a target of US$5 billion by 2020. Last year, about EUR490 million worth of goods were imported from Vietnam through Barcelona, while EUR117 million worth of goods were exported through Barcelona to Vietnam. Barcelona imports items such as coffee, frozen fish and building materials from Vietnam, and ships chemicals, food and foodstuffs, bio-fuel and metals to Vietnam. Deputy Chairman of the Vietnam Chamber of Commerce and Industry (VCCI) Hoang Quang Phong said Barcelona is Spain’s most dynamic region and among the four largest industrial cities in Europe. Barcelona has five maritime routes which link with 18 ports in Vietnam, providing logistics and transport solutions for Vietnamese businesses and others in Asia, the US, and North Africa. However, the two sides’ achievements over the years are still modest. Hence, Vietnam welcomes businesses from Barcelona to explore its market, said Phong. 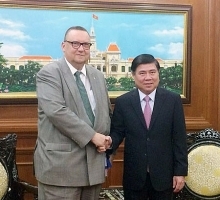 “I hope the two business communities will find opportunities, especially in areas that Vietnam seeks investment such as renewable energy, support industries and tourism,” Phong said. Deputy Minister of Transport Nguyen Van Cong said Vietnam enjoys a favorable geographic position and natural conditions conducive to developing logistics services. The Vietnamese logistics sector expands annually at an average of about 14-16 percent. In Vietnam, logistics costs account for about 20.9 percent of GDP, of which transport costs account for about 56 percent. However, the development of logistics in Vietnam faces many difficulties due to high costs compared to other countries in the region and the world, and limited transport infrastructure. Therefore, Cong expressed his wish to promote cooperation between the two sides in maritime services, logistics and export-import activities. In addition, state management agencies of the two sides will study how to build and improve institutions and policies to better serve the two business communities. Cong also emphasized Vietnam’s huge growth potential in logistics, given that free trade agreements it has signed and plans to sign, including the EU-Vietnam Free Trade Agreement (EVFTA) of which Spain is also a member. Catalonia’s Minister of Territory and Sustainability Damia Calvet i Valera said opportunities for cooperation between Vietnam and Barcelona abound. Accordingly, the two sides should consider direct flights, creating favorable conditions for the exchange of goods. President of the Barcelona Port Authority Merce Conesa.